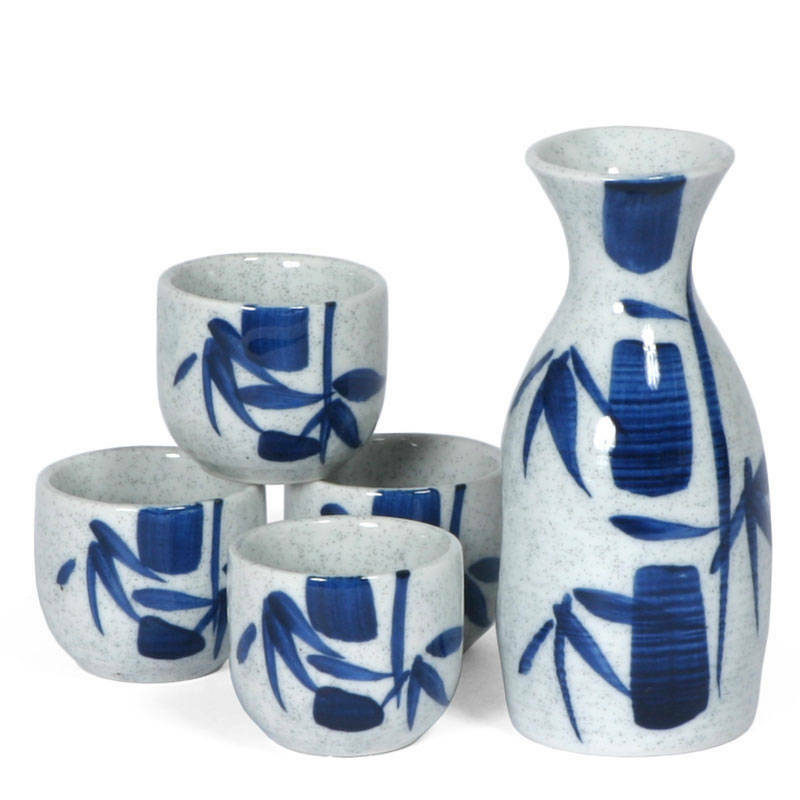 The art of bamboo painting is the inspiration behind this great little sake set. Set includes one 5 oz. sake bottle and four sake cups packaged in a black gift box. Sake bottle 2.25" diameter x 5"h; 5 oz. capacity.